You’ve probably seen me talkabout the Ley Lines series on Twitter. 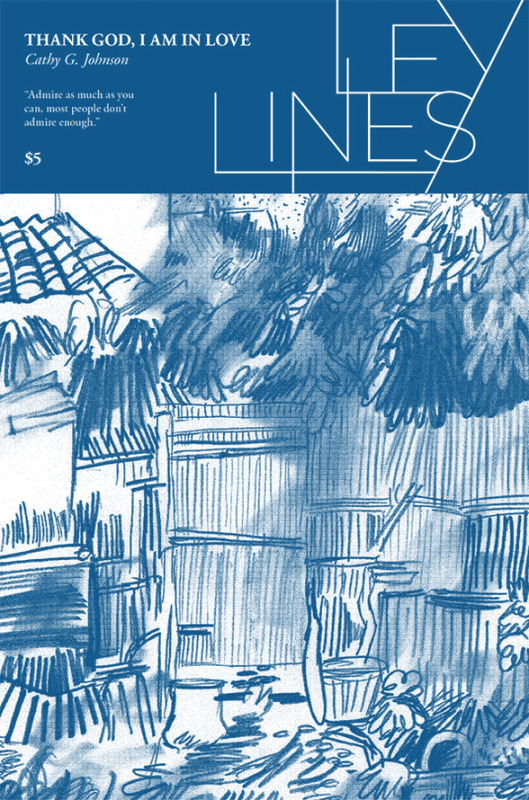 The series is copublished by Czap Books and Grindstone Comics, and the first issue by Annie Mok was on my 2014 Comics that Challenged Me list. Issue #3 by Cathy G. Johnson debuted at TCAF this year, and my review of that comic will go up later this week. I reached out to the series’ co-publishers, Kevin Czap and L. Nichols, to ask a few questions, and they were gracious enough to give some insight on the project. 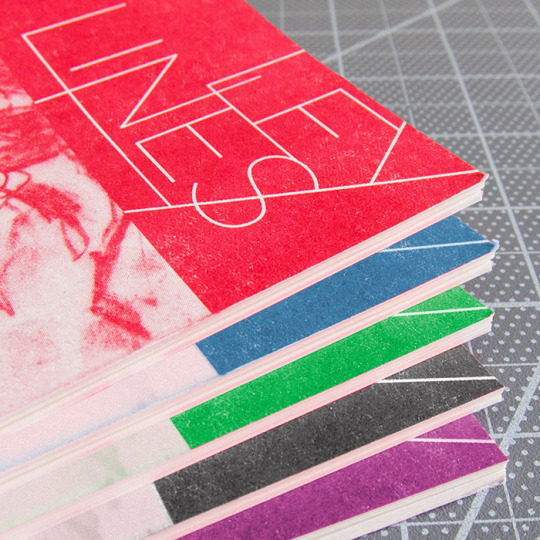 Sequential State: Could you explain the Ley Lines project for readers? Kevin Czap: The official description is “a quarterly publication dedicated to exploring the intersection of comics and the various fields of art & culture that inspire us.” Which in practical terms means that every three months, a different cartoonist picks a subject from the larger art culture outside of comics to make a comic about. Every issue shares the same format – size, shape, length – but beyond that, the way each artist chooses to interpret the prompt is up to them. So far, we’ve had Annie Mok, Warren Craghead and Cathy G. Johnson (all powerhouses in their own right), with upcoming issues by Andrew White and Erin Curry to round out our 2015 schedule. SS: As a whole, what are you trying to achieve with Ley Lines as co-publishers? more meaningful way… just a lot of discussions about fans and fan culture and how that all worked. One of my professors, Henry Jenkins, once asked why there weren’t any fine art fan communities. That got me thinking for several years on the topic before spurring me on to make a William Kentridge inspired comic. As someone who works in both fine art (mixed media paintings, sculptures) and comics, I get frustrated by the lack of dialog and discourse within and between the fields. I was hoping that publishing these comics might help create a different way to engage with and discuss art/culture, particularly the ones that are termed as “fine” or “high” culture. Comics, on the other hand, are reasonably cheap and easy to pass around. You can’t pass a Van Gogh around, but you can pass around a fan comic about him. I also liked the idea of talking about these big figures in our own medium (comics), on our own turf. It places it on a more even footing and is the inspiration for the name Ley Lines. I wanted these books to be the alignment of power between these two artists/two points. Equals responding to equals. So I guess what I’m hoping for is an accessible and honest reaction from one artist to another. Something to broaden the dialog in both worlds. Something to acknowledge our feelings about the culture we are surrounded by but often feel separated from. all its forms can be amazing, awe-inspiring and life-changing. paintings or Carrie Mae Weems, go all in, share the love! SS: What brought Czap Books and Grindstone Comics together as a publishing team for this series? Comix Cube. The whole idea behind Comix Cube was that we wanted to write lengthy pieces about comics that embraced the medium’s place in a larger cultural context. We would often write about our processes through the lens of other art practices, or talk about our influences. Over the years, L and I found that we have a similar worldview, and respond to the same things in comics – poetic sensibilities, a certain reverence, good design. We’ve been looking for a project to collaborate on ever since we each started publishing comics, and finally we just went ahead with it. L: Yeah, ever since meeting at SPX a few years back we’ve spent a lot of time talking about our work and processes with each other. I think that the Ley Lines project fulfills something we both find missing and wish were there. general – do you think the series will stay in the fine art realm, or is there the potential to see intersections between other types of culture? (frequently) exclusionary in some regard. Things that you wouldn’t expect to have fans. Things that are seen as stuffy or old or too complicated or too expensive. SS: What are your long term goals with a project like Ley Lines? K: Oh gosh, that’s a tough one! I’m not sure how much we’ve talked about long long term goals. Several amazing artists have expressed interest in the project, and so we have at least two years of really strong work ahead of us with Ley Lines. Beyond that, we’ll have to see. 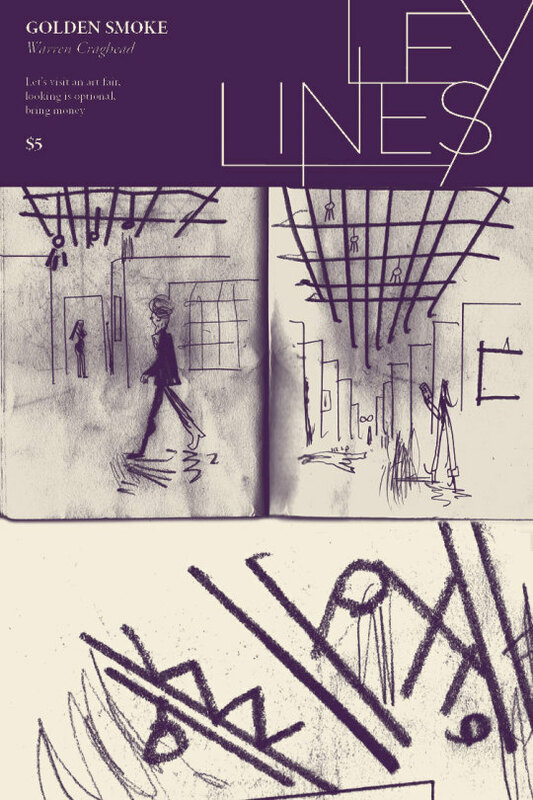 I think one thing we’d both like to see is being able to use Ley Lines as a kind of bridge between the comics and art worlds – putting it in contexts beyond the comics expo. That seems to be in the project’s DNA, you know? 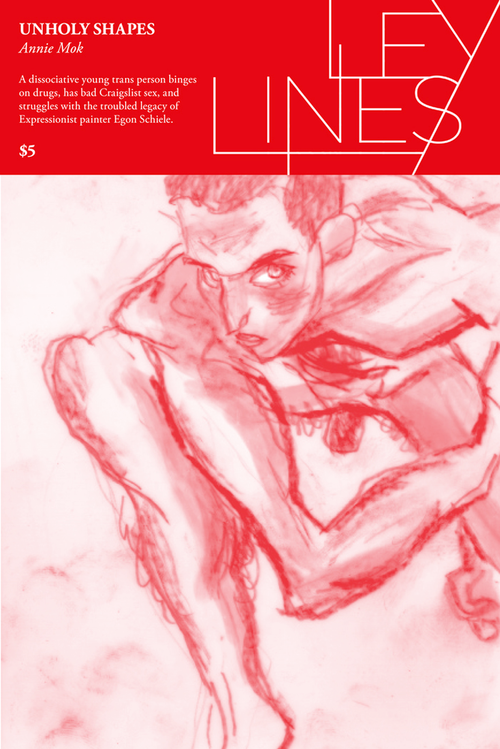 L: I’d love to see Ley Lines being sold/enjoyed/talked about in non-comics circles. The bridge aspect is definitely central to what this is all about. Otherwise, I don’t know that we have specific goals. I’m open to seeing how it grows and letting it become its own thing… maybe like seeds? Pollination? An idea that can land and then sprout up new ideas/art/etc. storenvy page, and find out more about Czap Books and Grindstone Comics at their websites.